More press for Claudia Ficca and Davide Luciano! 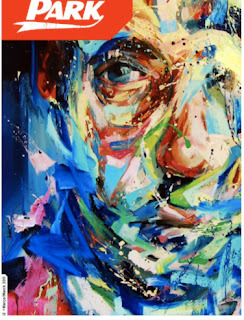 They have appeared in the March 2011 issue of Park Magazine, which is a bilingual Portuguese/English publication available online to view in full at Park Magazine... And it is a pleasure to see some of our favourite artists featured together in the same magazine - Andrew Salgado's work is the cover to the same issue of Park! View Salgado's beautiful paintings as well as Ficca and Luciano's photographs at our upcoming Summer Salon 5 hosted by First Canadian Place in Toronto.